Silk, “America’s No. 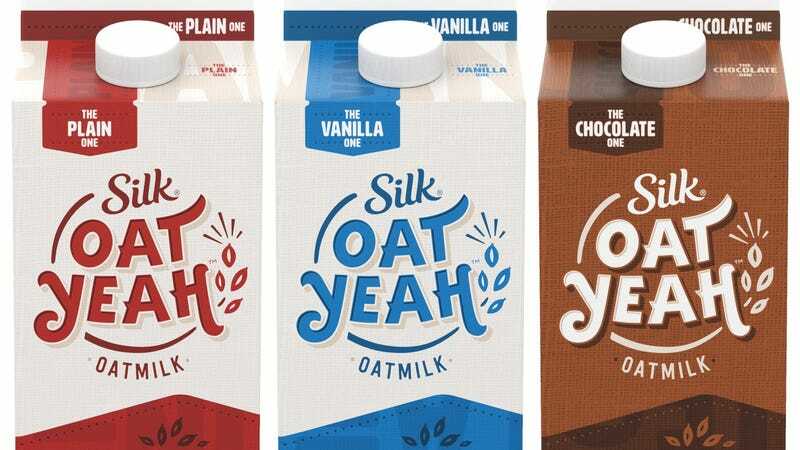 1 plant-based milk brand,” has entered the oak milk fray like the Kool-Aid Man. Oat Yeah. Inquiring minds want to know: Best name? Worst name? Worst-best name? Are we just grumpy because we didn’t get to come up with it ourselves? Oat Yeah (OAT YEAH!) currently comes in three flavors—“The Plain One,” “The Vanilla One,” and “The Chocolate One”—and will set you back $4.49 (suggested retail price) at places like Target, Walmart, and Publix. Oat milk fans, have at it, but please don’t enter through a wall. Why is cockroach milk trending and will it save us all?